Culprit and syndicate of John cigarette is being cracked down by police forces in a bid to protect citizen from harmful and unlicensed cigarette. 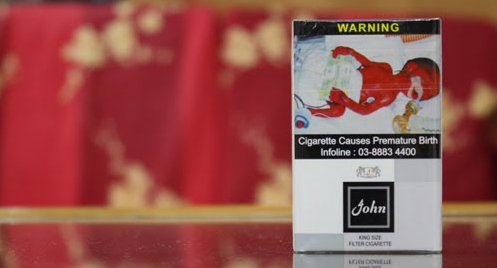 It is believed John cigarette contains dangerous chemical substances and the possibly manufacturing John cigarette in a condition using used and rusty machine. John cigarette is believed to be forwarding to our country by gangster controlling black market.